You can change a character's class using Class Change. 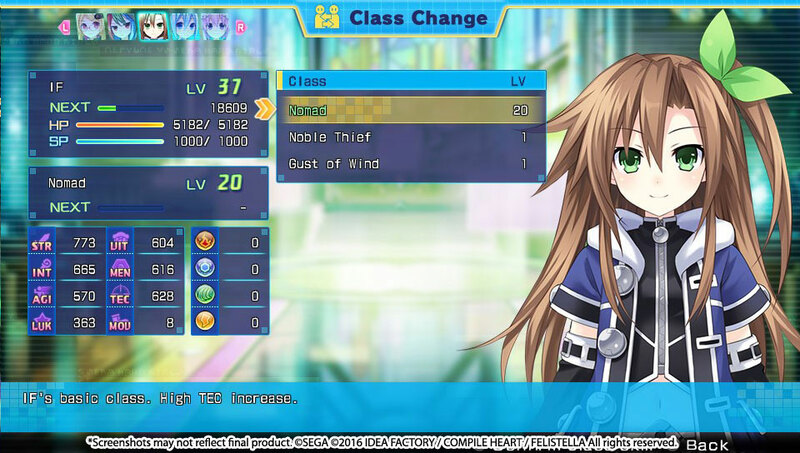 Each character has a specific class. The class will be released as the game progresses. Stats will change according to class, as well as Class Skills which are specific to each Class. When you go into battle with a symbol attack, your SP will recover a little. For 3 turns, you cannot be targeted by allies or enemies. However, if you're within an effect's range, you will receive that effect. When you receive a damage to the point of fainting, your HP won't drop below 1 for one instance.